Suzuki has been making the Alto since 1979 and the vehicle is now in its 7th generation. As you can imagine, it has undergone some pretty drastic changes since those early days. 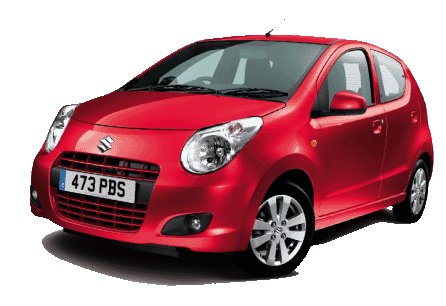 It is a bit of a complicated history, as the Alto name has been used for many different models and the car we know in the UK as a Suzuki Alto is known by other names in different parts of the world. The Alto first went on sale in the UK in 1981, with a boxy model that was far removed from today’s more stylish version. It was sold here until 2006 and is now on offer again. As mentioned at the start, it is one of the cheapest new cars on sale in the country right now. This is a big plus point and the fact that it comes from a brand name that is traditionally associated with reliability is another point in its favour. As far as looks go, it is a relatively stylish car and has the fun, slightly cheeky look that many people look for in this kind of city car. The Alto is smaller than most of its rivals in the supermini class and it is also a bit lighter too. All of the current models have 5 doors and there are some nice touches to make the interior look more interesting than in some other cheap cars. On the negative side, it is to be expected on a car with a low price tag like this to have a few cheap and flimsy looking elements. In the case of the Suzuki Alto, the rear shelf and the boot floor are among the things you probably won’t want to pay too much attention to. It handles better than you might think and gives the kind of driving fun that a compact city car should always provide us with. The most likely buyer of a Suzuki Alto is someone who wants a good value purchase for nipping around city streets. The tiny size of the Alto means that parking in tight spaces and getting around narrow urban spaces is easy. It isn’t the kind of car you will want to spend a lot of time driving on the motorway but it offers a low cost and highly convenient way of getting around the city. One of the great things about this sort of economic city car is that you know that it is designed to be cheap to run as well as to buy. This means a high level of fuel economy, low taxes and a reasonable insurance group. You will find that most insurers rate all the models from 2009 onwards as a group 4 vehicle. This means that it is one of the lowest cost vehicles on the market just now. This is likely to make it especially attractive to young drivers and those who haven’t yet build up a good level of no claims discount. As with all cars though it is best to get a quote from a comparison site before buying any vehicle to avoid any nasty surprises when it comes to insurance costs. The Suzuki Alto isn’t everyone’s cup of tea but it does an excellent job at providing a low cost city car that is cheap and easy to run. If you like the idea of this kind of supermini then the Alto is definitely one of the models you will most want to take a look at. It does pretty much what you would expect it to do and with a little bit more style than you might expect.